A hypnotist (Val Dufour) with questionable ethics sends a call girl (Pamela Duncan) back in time to a previous life, in which she was a wrongly condemned to die as a witch — but soon he realizes that she may be altering the outcome of history, and thus her own future existence. 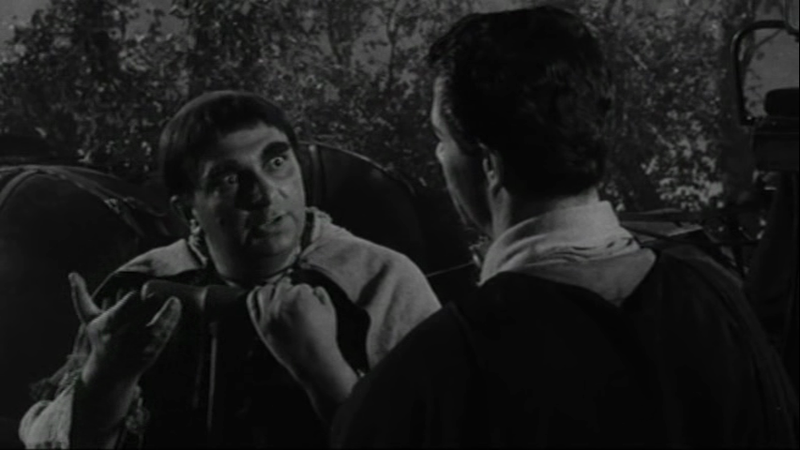 Clearly an attempt to cash in on the “past lives craze” engendered by the release of The Search for Bridey Murphy the previous year, this fantasy-horror film was just one of nine low-budget flicks helmed by Roger Corman in 1957. For the first half-hour or so, it’s unclear why Corman’s screenwriters (Charles B. Griffith and Mark Hanna) even bothered with the past-lives angle, since their primary focus seems to be on the fate of Duncan-as-Helene, a medieval damsel falsely accused of witchcraft by jealous Allison Hayes (who covets her lover, Richard Garland). Eventually, however, the two storylines merge, as it becomes clear that Dufour’s questionable dabblings may have unexpectedly dire ramifications for his unwitting subject. Four and twenty landlords, dinner for the worms. 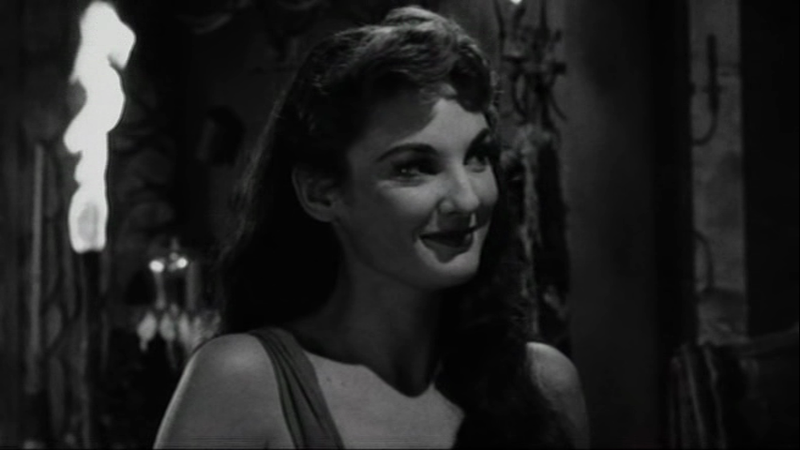 Meanwhile, Hayes gives a deliciously vampy performance as “bad witch” Livia, while Dorothy Neumann (in surprisingly effective low-budget make-up) is fine as her ugly but ultimately good-natured counterpart. 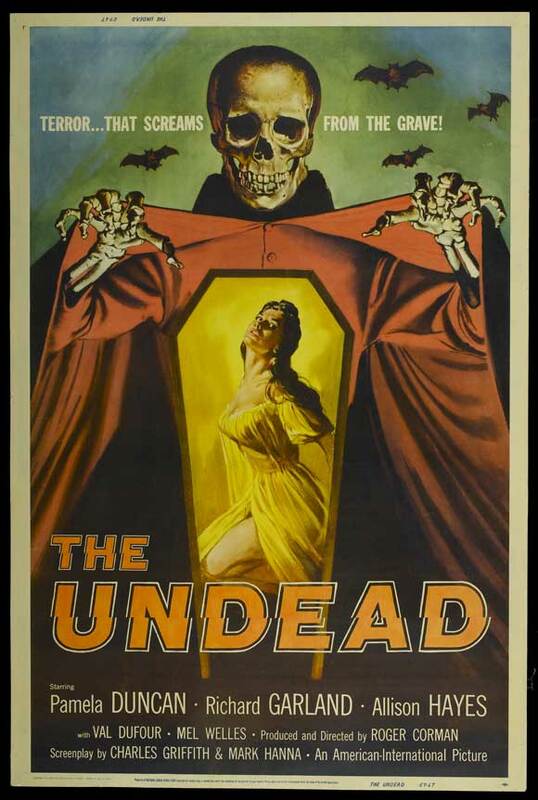 None of this is to defend The Undead as anything other than the low-budget exploitation flick it is, and it’s not must-see viewing — but there’s enough here to keep you reasonably entertained, if you’re in the right mood (especially if you check out the MST3K version, available on YouTube). No, though it’s worth a look for its campy cult value. A must! This is frickin’ hilarious! Let me explain: I’d just re-watched ‘The Brute Man’ via the MST3K version. In the case of ‘TBM’, the movie doesn’t hold up without the MST3K gang. Once again, the MST3K boys are in high gear. (“Excuse me – did I say ‘nonsense’? I meant ‘fluffernutter. '”) But the movie itself (which I hadn’t seen) is classic Corman! So, with or without the commentary, it’s a hoot! This is one I will definitely want to go back to. I didn’t know Allison Hayes (of ‘Attack of the 50-Foot Woman’ fame) had even made another movie; but here she’s indeed delicious! But then, I can’t say enough about the entire cast!…without giggling.